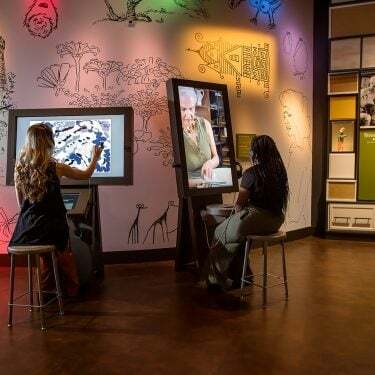 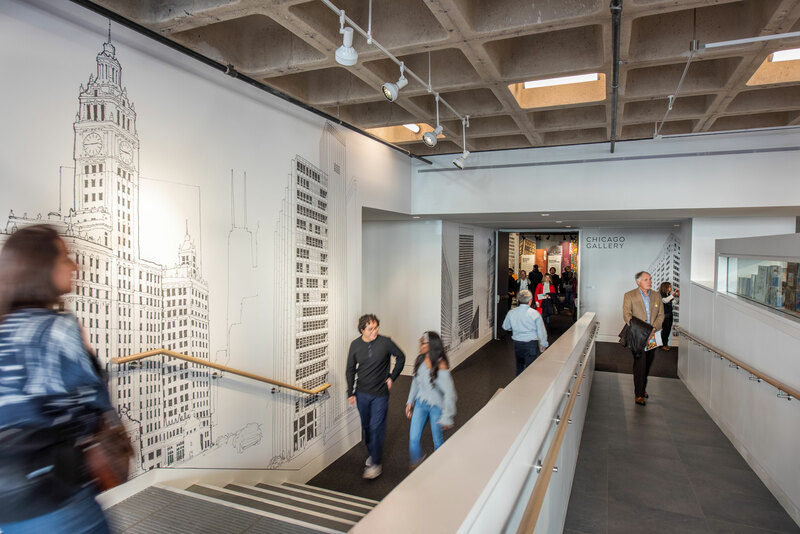 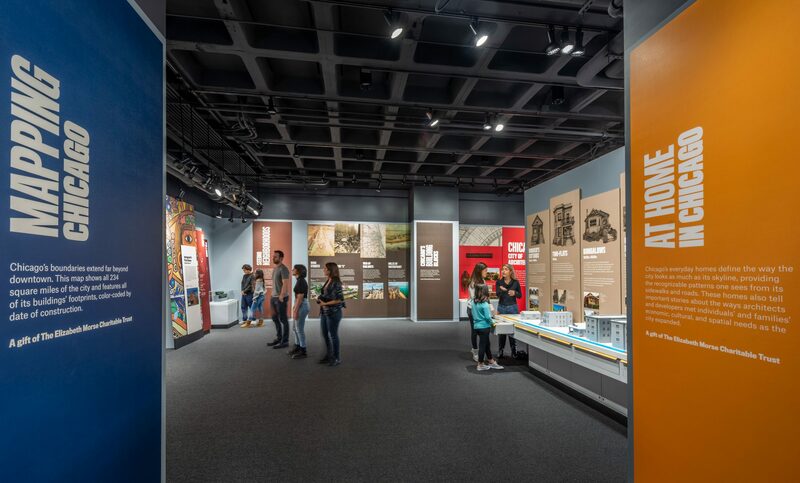 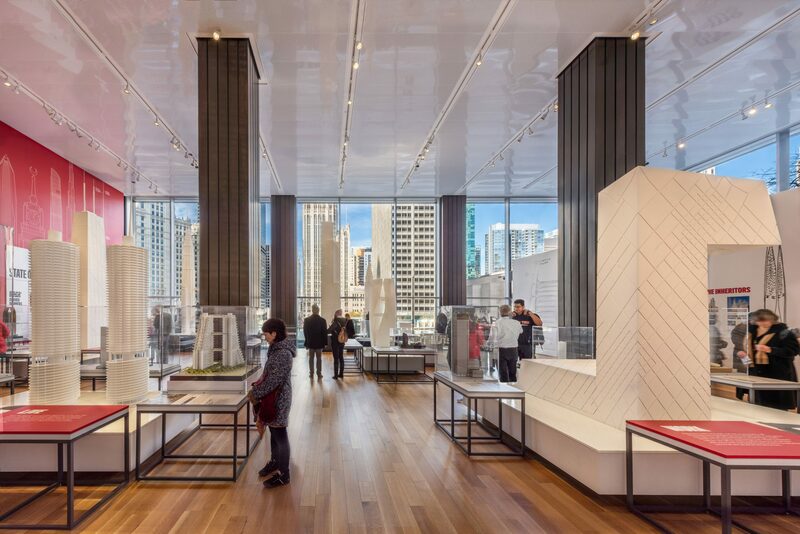 Gallagher & Associates worked hand-in-hand with the Chicago Architecture Center to develop a world-class destination and gateway for tourists, architecture-enthusiasts, practitioners, and students to discover the marvel that is Chicago’s architectural landscape and legacy. 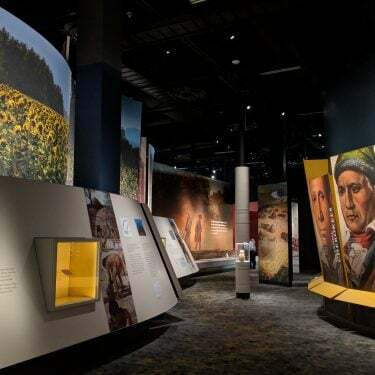 In less than nine months from project launch to open, G&A worked closely with the CAC to interpret Chicago’s architectural legacy into a visitor experience that is both awe-inspiring and accessible. 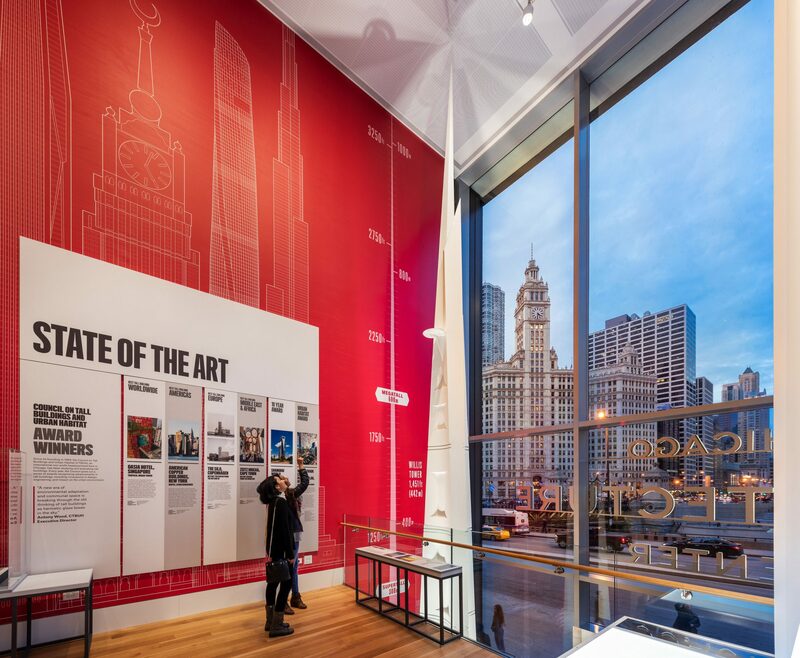 To tell the story of Chicago architecture, we divided the experience into two primary galleries: the downstairs “Chicago” gallery, tells the story of how Chicago came to be the city of architecture; while the upstairs “Building Tall” gallery, studies the evolution and innovation of skyscraper design and technology through the lens of Chicago’s famous architects and their influence on buildings throughout the world. Visitors enter the CAC through the Chicago Gallery, starting with this vivid 8-minute video developed by G&A. 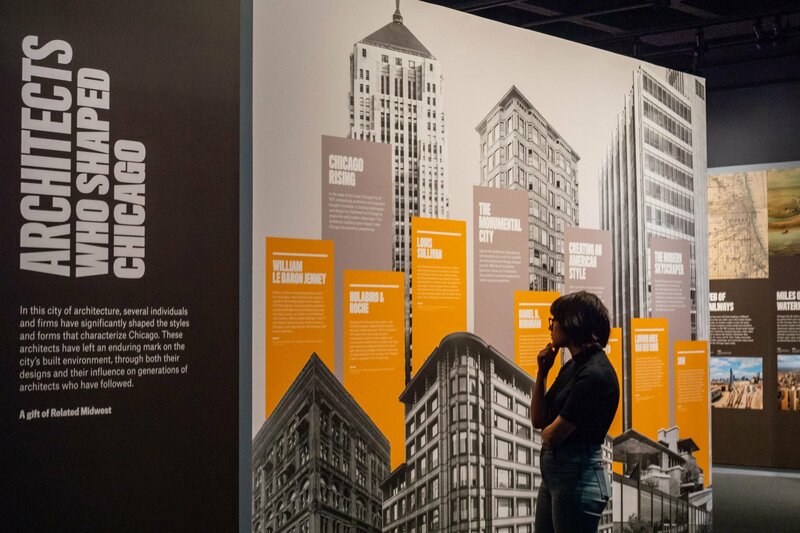 The video adds context and history to the story of Chicago’s architectural landscape, starting with the Great Chicago Fire. 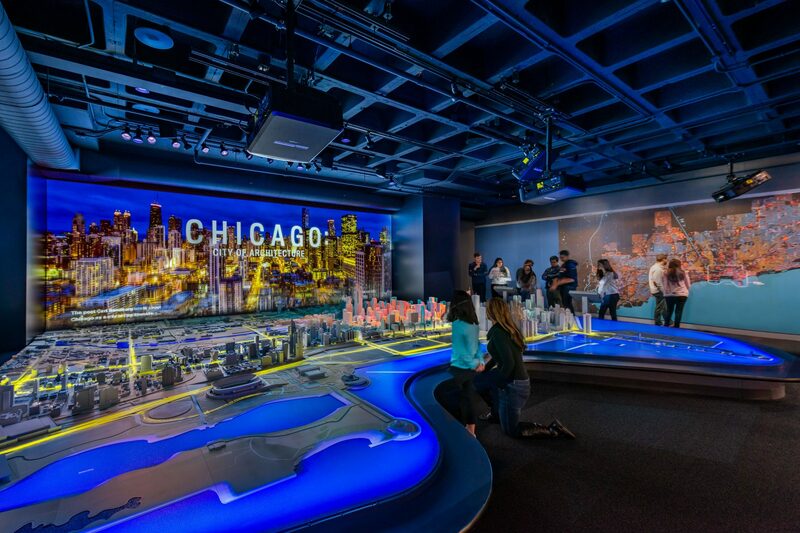 As the video plays, projection mapping on the Chicago Model down below lights up to show which areas of the city burnt to the ground, and continues on to highlight specific segments of the city as their stories come to life on-screen. Large-scale models of the world’s most iconic skyscrapers were expertly arranged within viewing distance of the windows—thus, adding visual interest from across the street, while inside the center, they evoke a sense of awe and wonder. 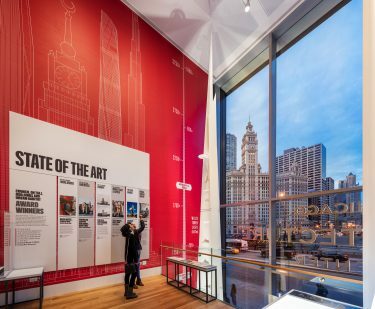 The experience we designed, illustrates how architecture becomes the urban canvas for daily life, providing a new lens for audiences to explore the city and its unique architectural fabric. 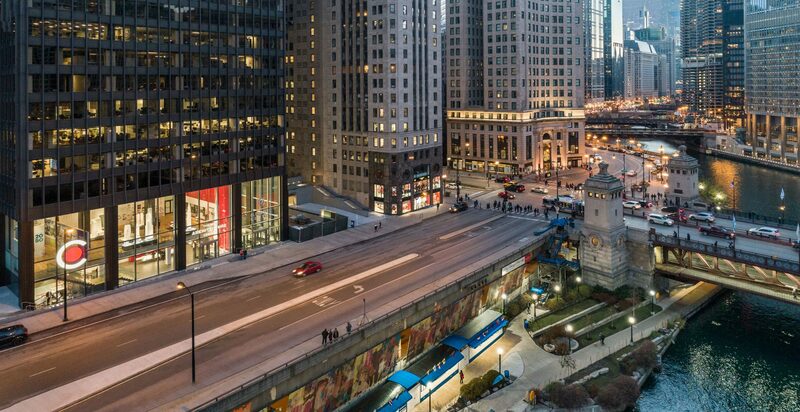 Cybelle Jones | Principal & Executive Director, Gallagher & Associates. To illustrate skyscrapers’ impact on society and culture, G&A arranged the exhibits programmatically into four, flexible islands that can move around to make space for events or changing content. 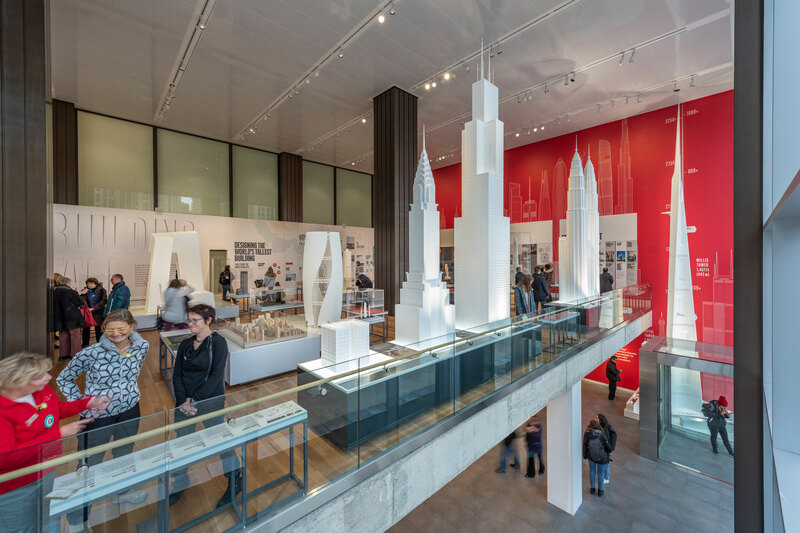 The islands—LIVE, BUILD, WORK, IMAGINE—balance building models with interpretive graphics, to tell the story of how skyscraper building design transformed the way we live today. 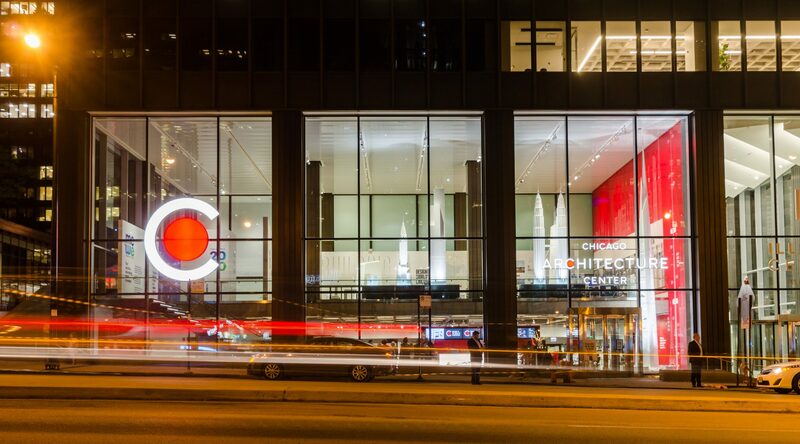 A bold, yet simple, typeface mimics the height of different buildings, while the restricted color palette compliments CAC’s identity. Chicago is a “City of Neighborhoods,” defined by people, planning, and zoning that are ever-changing. 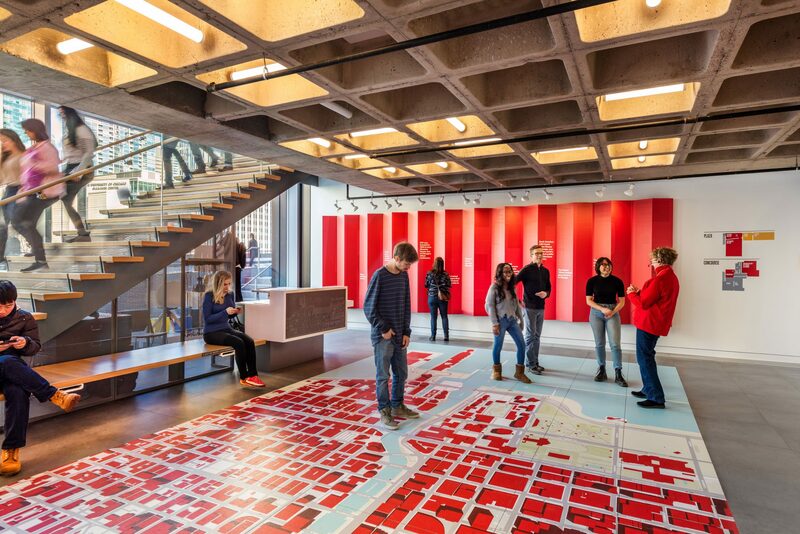 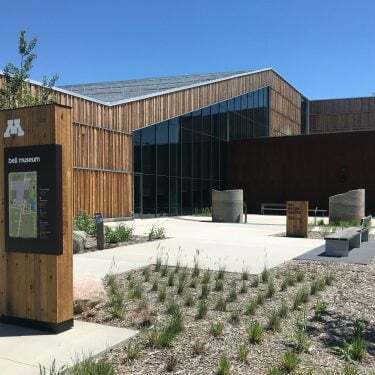 As communities and economic priorities shift, they leave an imprint on buildings and landscapes; if one looks closely, it is possible to “see” a neighborhood’s history in its architecture. 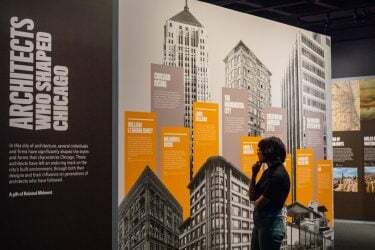 The places highlighted here provide windows into the story of Chicago and onto issues faced by neighborhoods in cities around the country. 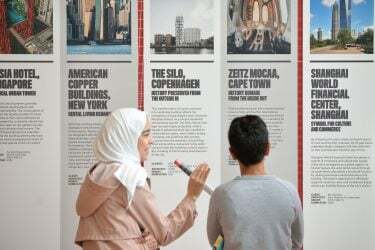 The use of infographics helps to communicate the complex technological innovations and engineering breakthroughs that have evolved architectural design throughout the world.